BJP IT cell head Amit Malviya and Congress spokesman Srivatsa tweeted the dates of upcoming elections even before the EC made the announcement. 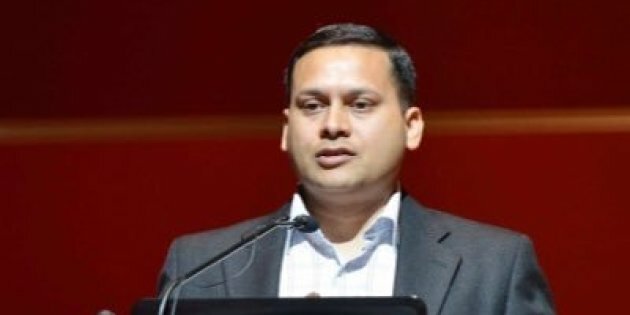 New Delhi: Fifteen minutes before the Election Commission of India (EC) announced the date of polling for the Karnataka assembly polls, Amit Malviya, head of Bhartiya Janata Party’s (BJP) IT cell, and lesser known Srivatsa, Karnataka Congress social media in-charge, tweeted that the state will be going to polls on May 12. Both Malviya and Srivasta tweeted at 11.08 am, while the EC only made the announced at 11.23 am, as pointed out by AltNews. However, both got the date of declaration of results wrong. The social media heads of both national parties announced that results of the Karnataka assembly polls will be declared on May 18, while the EC announced that the results will be declared on May 15. When the prior announcement by the social media heads created an uproar on Twitter, Malviya responded by tweeting that he had seen the announcement on Times Now. As AltNews discovered, Times Now had indeed made the announcement at around 11.06/11.07 a.m, prior to Malviya’s announcement. In fact, several other channels such as TV9 Karnataka, BTV, TV5 Kannada and Suvarna News also aired the news prior to the EC announcement. This leak comes as a major embarrassment for the EC coming at a time when the credibility and the independence of the EC have been in question after opposition parties have alleged bias in the functioning of the EC. The Indian Express has reported that the EC is considering seeking a probe by the Intelligence Bureau (IB) and the Central Bureau of Investigation (CBI) into the leak incident.